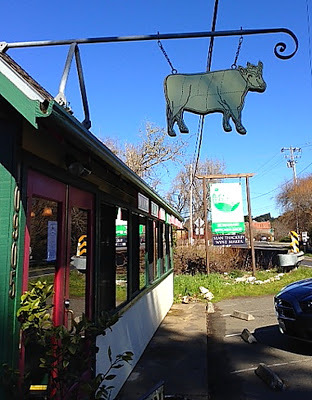 One of the best things about visiting my mom in Point Reyes Station, California, is we get have “Sunday dinner at mom’s” like we used to do every Sunday while growing up. My oldest brother, his wife, and three lovely daughters live nearby, so we had a full table. My mom requested pot roast which meant I had to find the best meat. I couldn’t be in a better part of the country, because Marin County, California, is probably the hub of the nation’s organic movement. I had only a five minute ride to find Marin Sun Farms where one can find 100% grass fed and pasture-raised meats including beef, lamb, goat, pork, chicken, the best eggs, and apparently the best burgers around, which I must try later this week. 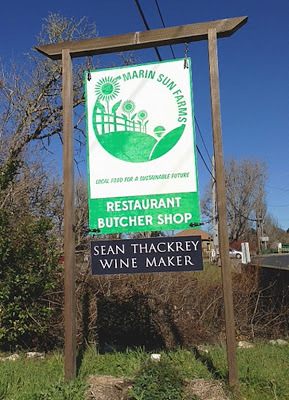 Marin Sun Farms was in the international spotlight at one time when Prince Charles made a visit to the states to study organic farming and made a point to visit tiny little Point Reyes Station and Marin Sun Farms. The prince was a huge hit with all the local farmers, and also with chef Alice Waters, who drove the organic movement since the beginning. She was admittedly smitten with the prince, who she says regarding his passion for organics farming, “He is, in private, really one of the most forward-thinking, radical humanitarians I have ever talked to.” It seems the prince, who is sometimes regarded as stodgy and elitist, is downright progressive. He also wrote of his passion in his book, “The Elements of Organic Gardening.” With the stamp of approval from the prince, I looked forward to visiting the store. I bought a gorgeous roast for our Sunday dinner, some ground beef to make spaghetti sauce, and a small amount of beef for a stir-fry for later this week. The butcher shop is very small but filled with the most beautiful meats you will ever see. If you go to their facebook page you can see their products along with photos of the mouth-watering burgers and sandwiches. 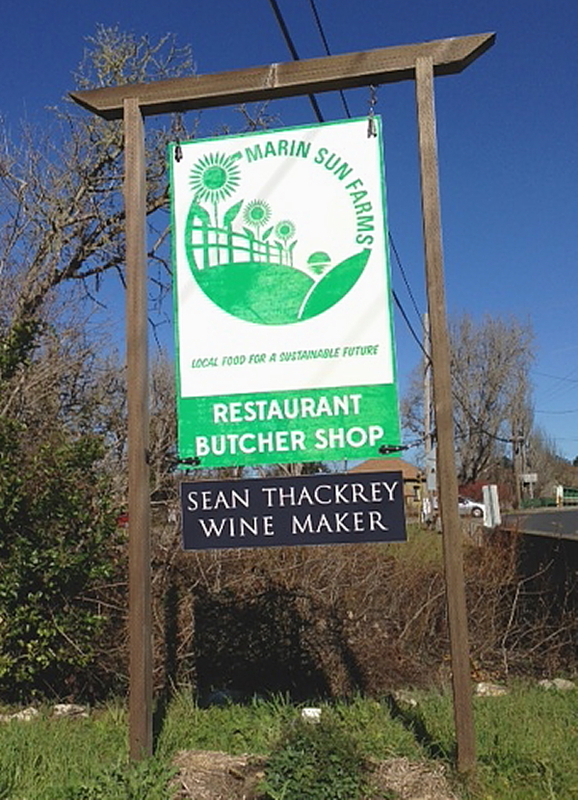 You can also follow them on twitter, @MarinSunFarms. The pot roast was a huge success and we all had a wonderful day together. 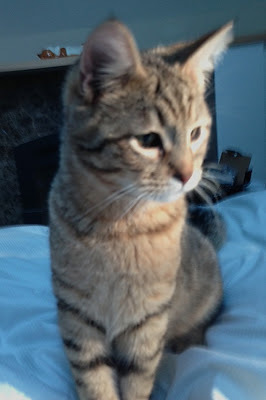 After everyone had left, mom and I went upstairs to read our books (we are both reading “Defending Jacob”), and were followed by my mom’s new kitty, Ozzie. 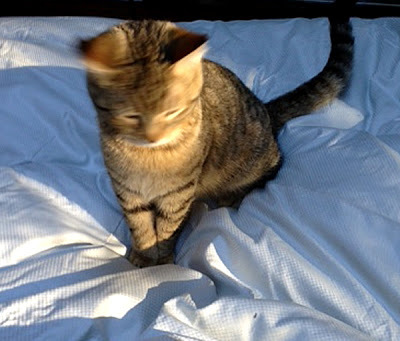 Ozzie is about six months old and rescued from a shelter. He is rambunctious, to say the least. 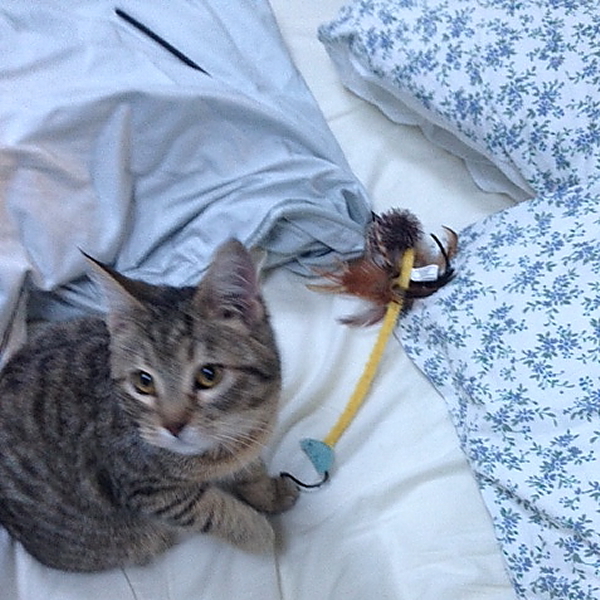 Ozzie brings me his toys every morning to wake me up. 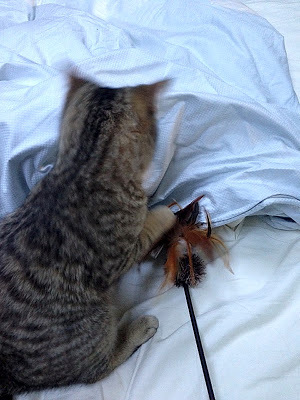 When he gets tired of his toys, he tries to find my toes under the covers to play with.